Our 24/7 control room chairs are designed for complete comfort with extra padding and support making them ideal for 24 hour control room environments such as air traffic control and the emergency services. With extremely durable fabric, each of our 24/7 chairs are built and tested to last in robust environments where they will be used by different users for up to 24 hours a day. With standard office chairs, they aren't built for durability and users feel fatigued and uncomfortable after long periods of sitting - making them unsuitable for 24 hour environments. Our 24/7 control room chairs have multiple features and adjustments to ensure that each and every user feels comfortable for the duration of their shift. Each of our 24/7 control room chairs have multiple features to ensure that the user maximises alertness and productivity. The tilt function mechanisms on each of the chairs encourage movement which in turn oxygenates the body, whilst the inflatable lumbar support promotes a better posture. The materials and fabric used on our control room chairs are also built and tested specifically for 24 hour use. Our 24/7 control room chair range comprises of the renowned KAB control room chairs and the RH Logic Chairs. 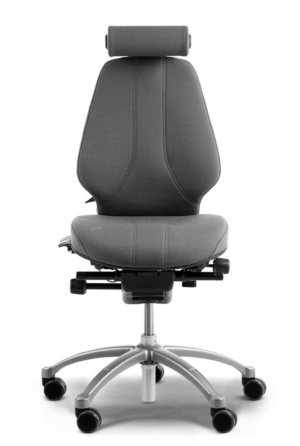 The KAB chairs include contoured seat pads, adjustable flip-up arms and a padded head rest, resulting in one of the most comfortable chairs on the market. 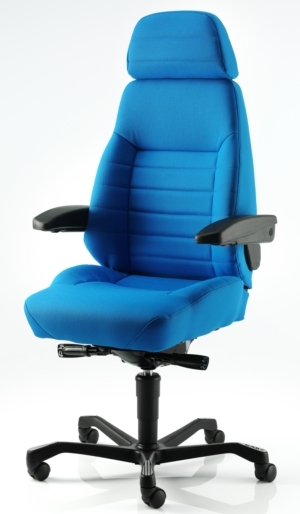 The RH Logic chair range also includes 24/7 chairs - enabling all of the ergonomic benefits of the standard RH Logic chairs but with 24 hour suitability.